Aircel has launched ‘Design your own plan’, Online Service, which gives customers the flexibility to create a plan of their choice this comes after the launch of airtel myPlan and idea iPlan. This service is available for both Prepaid and Postpaid customers and offers freedom to customize plans basis the requirement thereby leading to customer delight. Post the choices have been entered across, a relevant plan is shared for the customers to choose and confirm. Customers also have the freedom to re-design the plan or add extra packs basis their need. 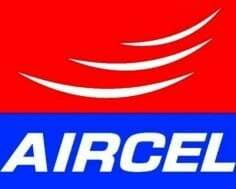 The service is available for both Aircel & Non Aircel customers. New Customers can activate these plans, by simply filling and submitting the Aircel Customer Enrollment Form at the nearest Aircel store. Existing customers have the freedom of recharging Value Packs online or choose any a new plan by using the design tool. If sources has to be believed even airtel will be launching myplan for its prepaid customers soon.